Quite literally the most epic deal you'll find in the Poconos. Paddles, Pedals & Battles – also known as Whitewater Rafting, Rail Trail Pocono Biking and Skirmish Paintball. You and your friends will enjoy one thrilling day of adventure after the next. Bike the Lehigh River Gorge Rail Trail, go Whitewater Rafting on the Lehigh River in Jim Thorpe the following day and end your mini-expedition with a game of “Capture the Flag” at Skirmish Paintball on our 50 award-winning paintball fields. Three days of outdoor activities in the Poconos for one discounted rate! If you would like to reserve a three day Paddles, Pedals & Battles, please give us a call at 1-800-Whitewater (1-800-944-8392). 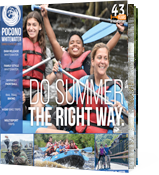 If you would like to reserve a three day Paddles, Pedals & Battles adventure in the Poconos, please give us a call at 1-800-Whitewater (1-800-944-8392). 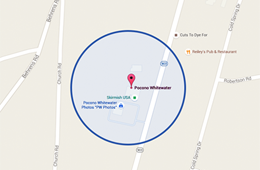 Photos are available for purchase in our store or online at PoconoWhitewaterPhotos.com or SkirmishPhotos.com.